DOLORES ACUÑA, age 78, passed away peacefully from the complications of Alzheimer’s and Parkinson’s diseases. Wonderful medical care and caregiving were provided by many people of Ashland and Hayward. She was born in Nogales, Senora Mexico in 1940 and received her nursing degree in Chihuahua, Chihuahua Mexico. 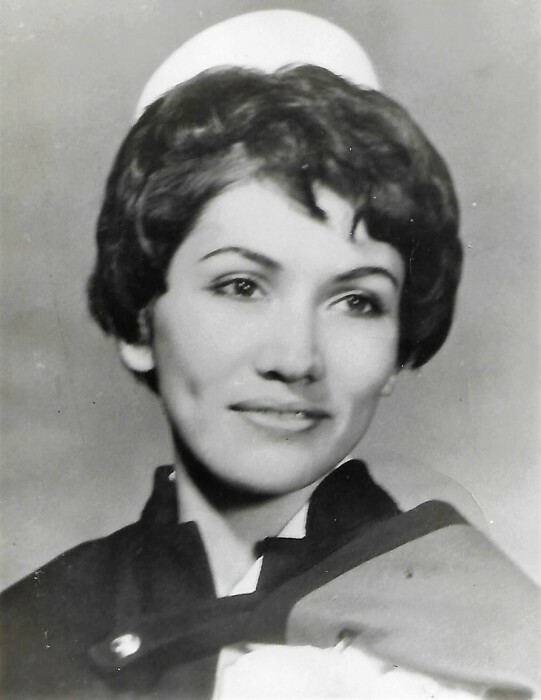 She was recruited by St. Joseph’s Hospital in Phoenix, Arizona and came to the United States in 1966. She became a naturalized citizen of the United States in1968. Dolores was honored as the United States Army South (USARSO) civilian employee of the year in 1994. She helped transfer several administrative procedures from Gorgas Hospital Panama Canal to Gorgas Hospital USARSO when the hospital was transferred. Dolores always claimed she was not a good cook. However, she was able to do magical things with enchiladas, tortillas, tostados and taquitos. Her venison tamales were legendary. Her way of life was somewhat reclusive but she enjoyed walking in the woods, rides in the pontoon boat, was addicted to Spanish soap operas, and loved observing wildlife. When quizzed what was a grouse track, she responded, “a chicken”, and the turkey under the winter bird feeder was a duck. One time she went outside to get a better look at an eagle that had landed in a red pine. The eagle turned its head and gave her “the eagle’s eye” which so frightened her that she retreated into the house. She had a very large collection of angels and now is with them for eternity. Dolores was the youngest of seven children and is survived by two sisters; Olga Marquez and Celia Valdez of Phoenix, Arizona, her son Rene Acuña of DeLand, Florida, husband Joseph Brady of Drummond, Wisconsin and numerous nieces and nephews also in Arizona. Memorials will be contributed to the Cable & Area Foundation of the Cable & Area Lions Club, P.O. Box 444, Cable, WI 54821.